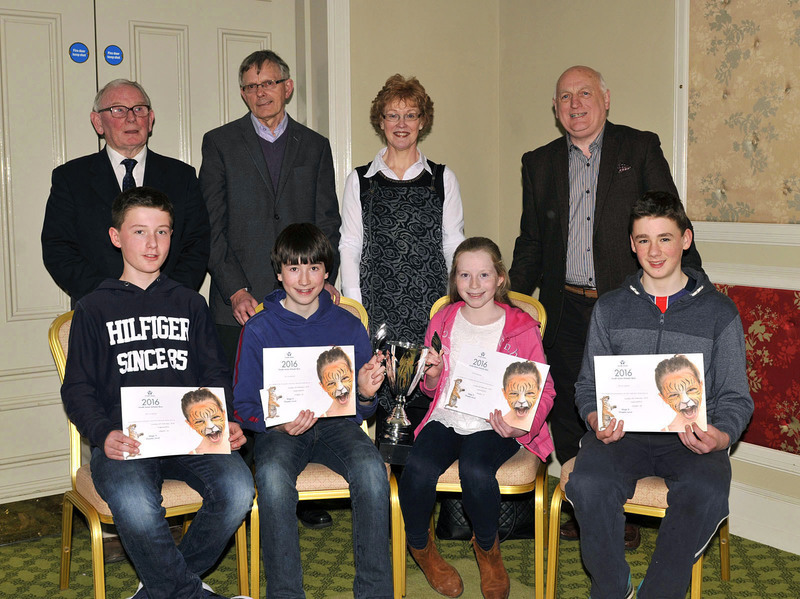 Pictured at the Credit Union Chapter Table quiz held in Knockranny Hotel Westport, students from the Quay NS Ballina, l-r; Eamonn Docherty, Adam Forde, Alannah O’Connor and Padraic Gavin. Photo © Ken Wright Photography 2016. 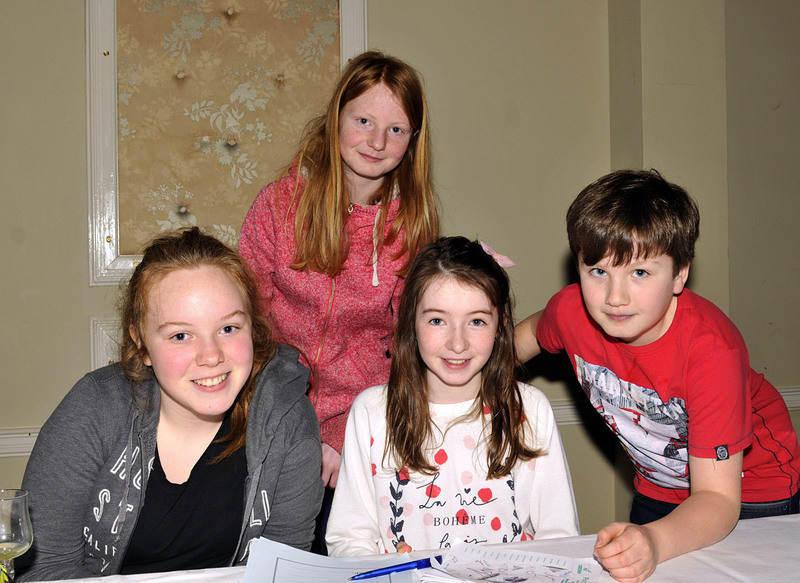 Pictured at the Credit Union Chapter Table quiz held in Knockranny Hotel Westport, students from the Craggagh NS, l-r; Cara Connolly, Laura Rosney, Anna McDonnell and David Murphy . Photo © Ken Wright Photography 2016. 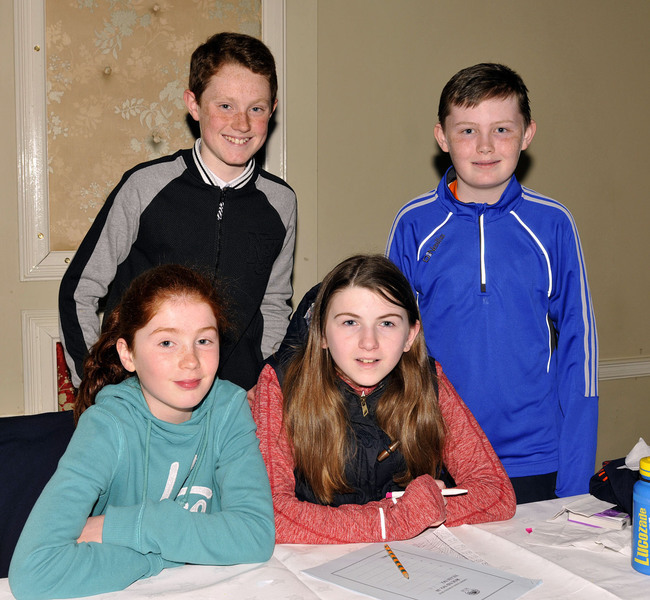 Pictured at the Credit Union Chapter Table quiz held in Knockranny Hotel Westport, students from the St. Peter’s NS Snugboro, l-r; Ellen McHale, Tom Heneghan and Luke Munnelly. Photo © Ken Wright Photography 2016. 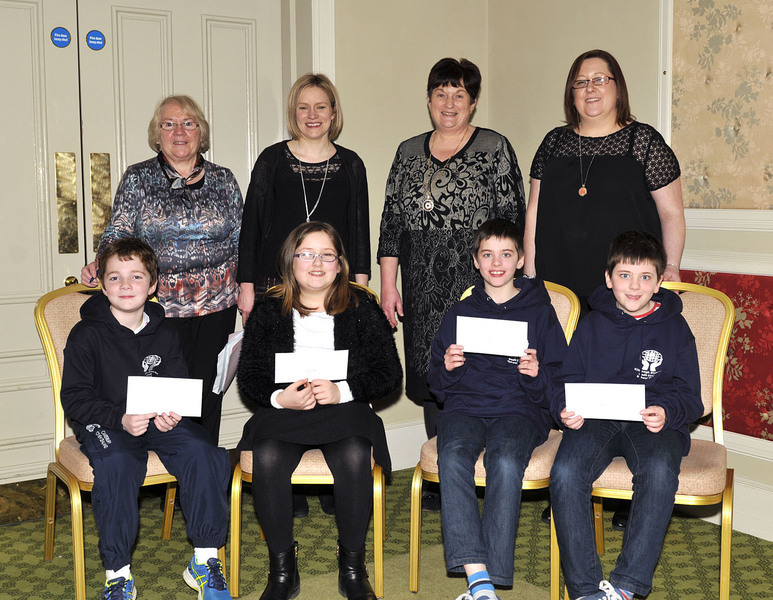 Pictured at the Credit Union Chapter Table quiz held in Knockranny Hotel Westport, students from the Meelickmore NS front Nora Staunton and Aishling Horkan back Evan Reilly and Sean Goody. Photo © Ken Wright Photography 2016. 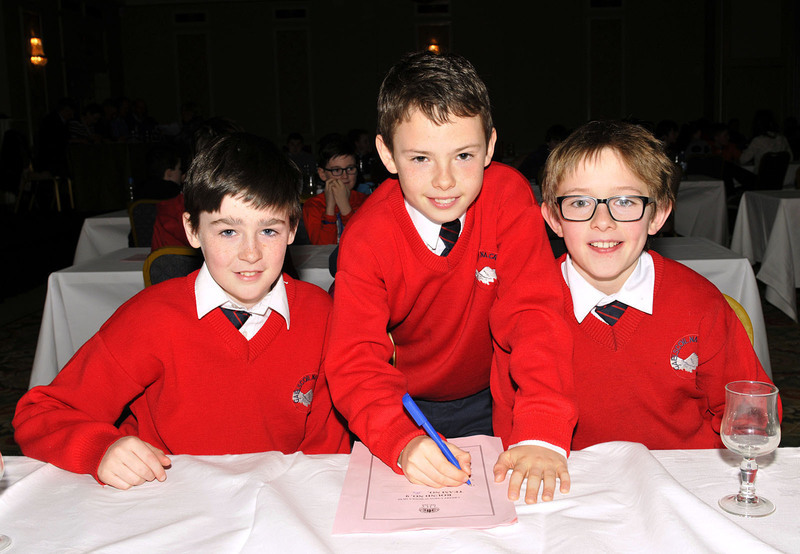 Pictured at the Credit Union Chapter Table quiz held in Knockranny Hotel Westport, students from the Gaelscoile Na Cruaiche Westport, l-r; Colm Gill, Fionn Ruane and Oscar Walsh. Photo © Ken Wright Photography 2016. 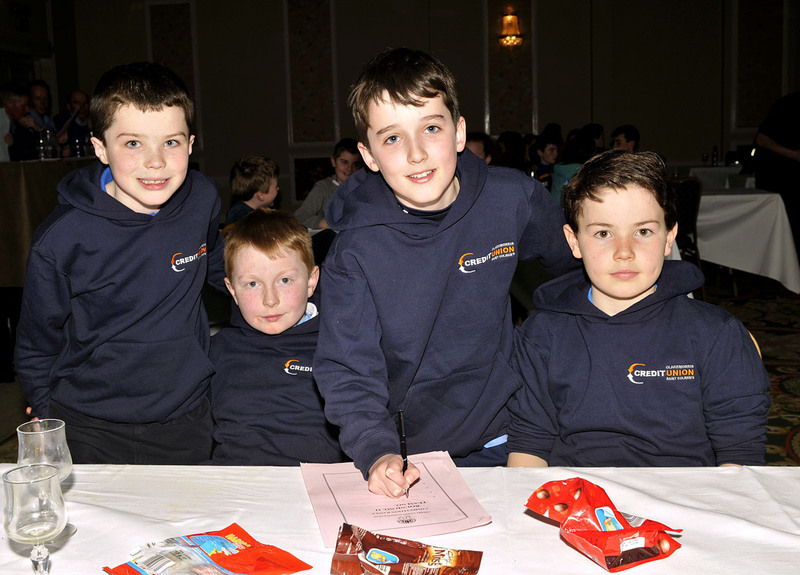 Pictured at the Credit Union Chapter Table quiz held in Knockranny Hotel Westport, students from St. Colmcilles Westport , front Eoin Lally and Ryan Mulchrone, back Adam Moran and Jason Munroe. Photo © Ken Wright Photography 2016. 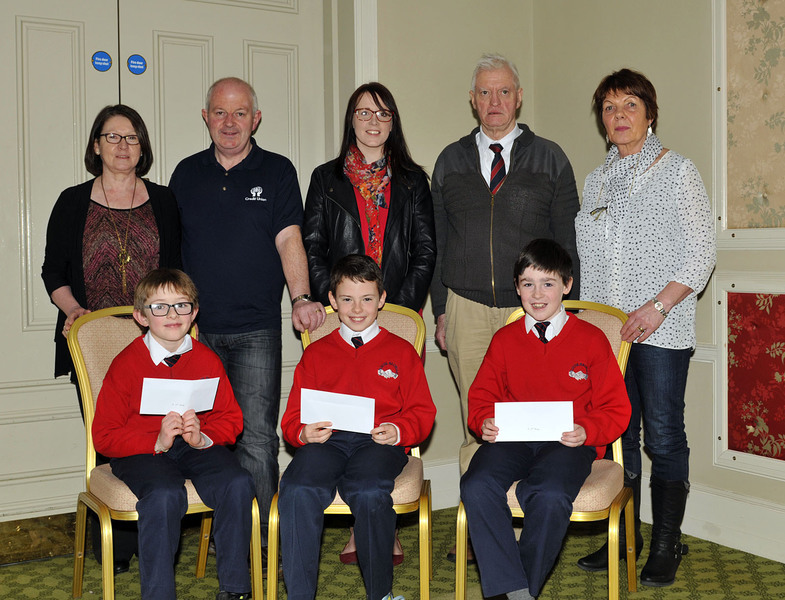 Pictured at the Credit Union Chapter Table quiz held in Knockranny Hotel Westport, Category B 1st place winners from the Quay NS Ballina will be going forward to the final which will be held in Dublin on Sunday 10th April. Front l-r; Ciarán Boland, Mark Barrett, Emma McNulty and Sam Callinan. Back l-r; Eugene McGuire Credit Union Ballina, Pat Farragher, Ballina CU, Ann Treacy, teacher and Frank Duggan , Credit Union Ballina. Photo © Ken Wright Photography 2016. 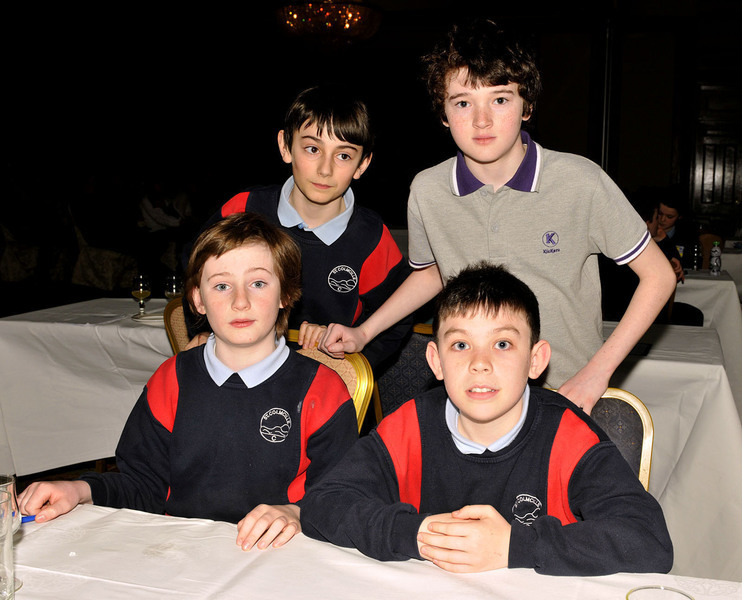 Pictured at the Credit Union Chapter Table quiz held in Knockranny Hotel Westport, students from Claremorris Boys NS, l-r; Stephen Halloran, Liam Henry, James Warde and Harry Smith . Photo © Ken Wright Photography 2016. 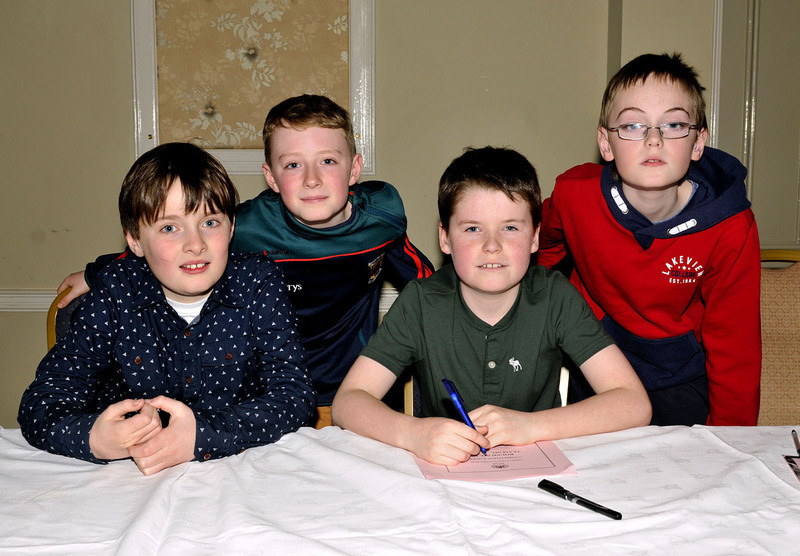 Pictured at the Credit Union Chapter Table quiz held in Knockranny Hotel Westport, students from the Belmullet NS, l-r; Patrick Conroy, Liam Culcannon, Anthony Barrett and James McGuire. Photo © Ken Wright Photography 2016. 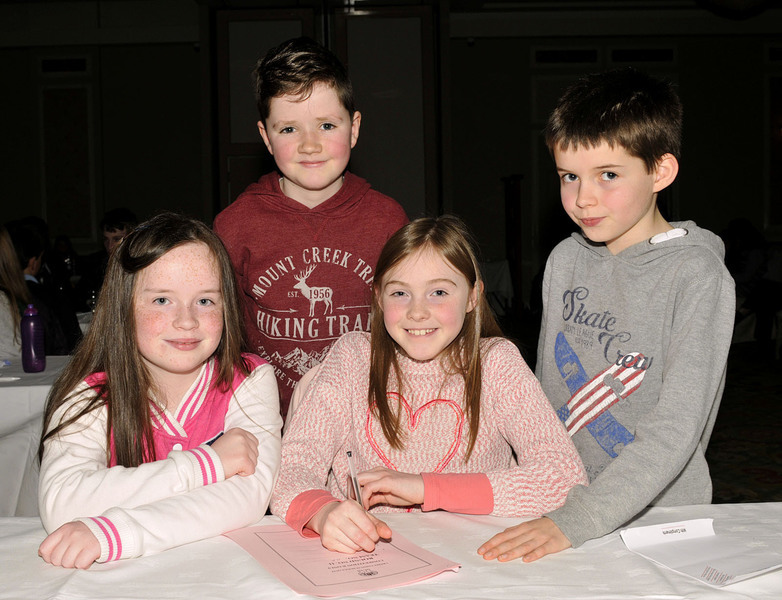 ..
Pictured at the Credit Union Chapter Table quiz held in Knockranny Hotel Westport, students from the Foxford NS, l-r; Peter Fox, Cliona McCarthy, Sean Ruane and Hannah McCarthy . Photo © Ken Wright Photography 2016. 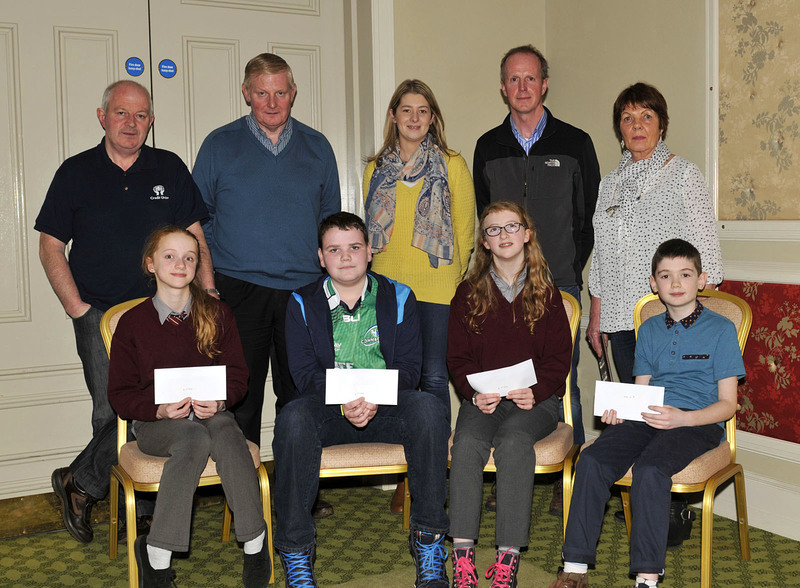 Pictured at the Credit Union Chapter Table quiz held in Knockranny Hotel Westport, Balla NS came in 3rd place in category B, front l-r; Katie Harte, Matthew Luddy, Abby Sweeney and Patrick Dolan. Back l-r; Jimmy Murphy, Castlebar CU, John McTigue, Castlebar CU, Elaine Sweeney, (teacher), Stephen Minogue, Castlebar CU and Maura Murphy, Chapter . Photo © Ken Wright Photography 2016. Pictured at the Credit Union Chapter Table quiz held in Knockranny Hotel Westport, Gaelscoile Na Cruaiche Westport came in 2nd place in category A and will be going forward to the final which will be held in Dublin on Sunday 10th April. Front l-r; Oscar Walsh, Fionn Ruane and Colm Gill . Back l-r; Cathy Murtagh, Swinford CU, Jimmy Murphy, CCU, Nicola Ni Ghraith (teacher), Michael Gormley, Chapter, Maura Murphy, Chapter. Photo © Ken Wright Photography 2016. Pictured at the Credit Union Chapter Table quiz held in Knockranny Hotel Westport, St. Aidans Kiltimagh came in 3rd place in category A, front l-r; Cormac O’Mahony, Grace Creighton, Jonathan McHugh and David McHugh. Back l-r; Teresa Convey, Chapter, Claire Hickey, (teacher), Ann Cunnane, Principal and Pauline Creighton, Kiltimagh CU . Photo © Ken Wright Photography 2016. 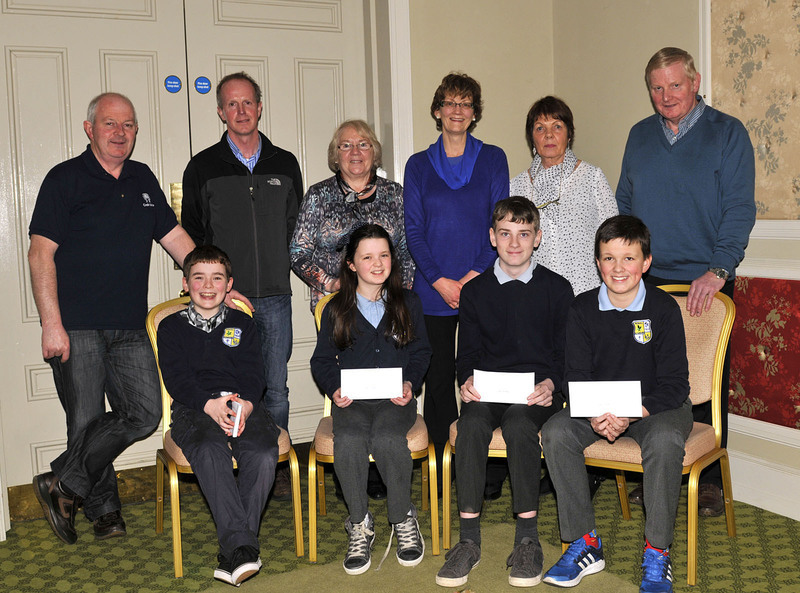 Pictured at the Credit Union Chapter Table quiz held in Knockranny Hotel Westport, Category A 1st place winners from the Quay NS Ballina will be going forward to the final which will be held in Dublin on Sunday 10th April. Front l-r; Adam Forde, Eamonn Docherty, Alannah O’Connor and Padraic Gavin, back l-r; Pat Farragher, Ballina CU, Frank Duggan , Credit Union Ballina, Ann Treacy (teacher), Eugene McGuire Credit Union Ballina , Hugh Francis Lynn, Principal. Photo © Ken Wright Photography 2016. 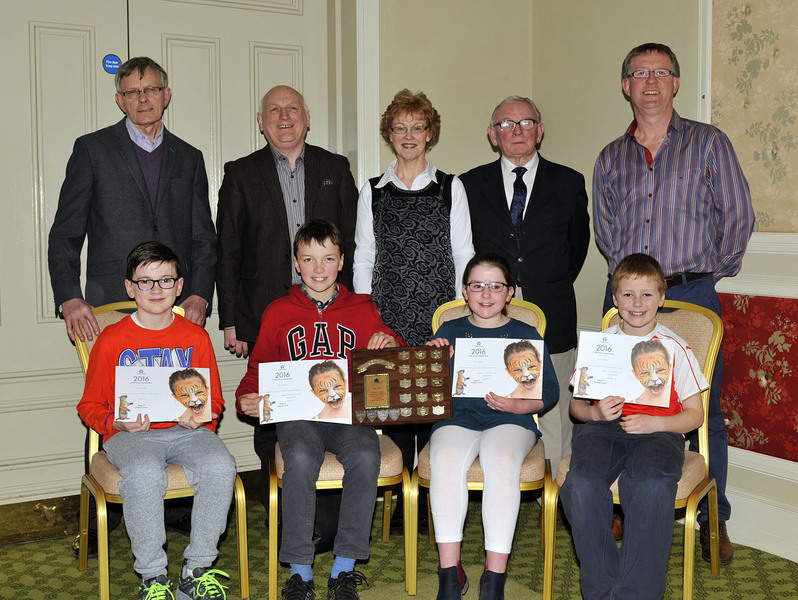 Pictured at the Credit Union Chapter Table quiz held in Knockranny Hotel Westport, Don NS came in 2nd place in category B and will be going forward to the final which will be held in Dublin on Sunday 10th April. Front l-r; Jamie Lowrie, Lauren Freeman, Daragh Flynn and Liam Freeman. Back l-r; Jimmy Murphy, CCU, Stephen Minogue, CCU, Teresa Convey, Chapter, Maria Mulligan, (teacher), Maura Murphy, Chapter and John McTigue, CCU. Photo © Ken Wright Photography 2016.